One of the most eagerly awaited releases of 2015, the AndersonPonty Band’s “Better Late Than Never” features outstanding performances by the group from September 2014 at the Wheeler Opera House in Aspen, Colorado, as well as some innovative production. Along with some breathtaking new musical compositions, “Better Late Than Never” also showcases rearrangements of classic YES hits like “Owner Of A Lonely Heart”, “Roundabout” and “Wonderous Stories”. The album also includes some of Jean Luc Ponty’s beloved compositions, with Jon’s lyrical vocals and melodies enhancing the music and creating a very special and unique sound such as “Infinite Mirage” a new song incorporating Jean Luc’s classic tune “Mirage”. YES’s original singer/songwriter for 35 years, Jon Anderson has had a successful solo career, which includes working with such notable music artists as Vangelis, Kitaro, and Milton Nascimento. International violin superstar Jean Luc Ponty is a pioneer and undisputed master of his instrument in the arena of jazz and rock. He is widely regarded as an innovator who has applied his unique visionary spin that has expanded the vocabulary of modern music. Together these two music legends have formed a musical synergy that is unparalleled! Jean Luc Ponty was originally approached by Jon Anderson with the idea of working together as far back as the 1980’s. Now 30 years later the dream has become a reality! Something Else! Exclusive Stream of “I See You Messenger” by the AndersonPonty Band! The formation of a superband fronted by classic rock icon ex-Yes frontman Jon Anderson with jazz rock icon violinist Jean-Luc Ponty created some buzz ever since Anderson first publicly broached the idea back in early 2014. The AndersonPonty Band concept led a memorable live engagement in Aspen in September 2014, captured both audibly and visually. The resulting CD/DVD Better Late Than Never will be available on September 25, 2015 via Liaison Records. Something Else! offers a sneak peak of a track from AndersonPonty Band’s CD, “I See You Messenger,” which you can stream above. For the full article and the stream, please visit the Something Else! website! 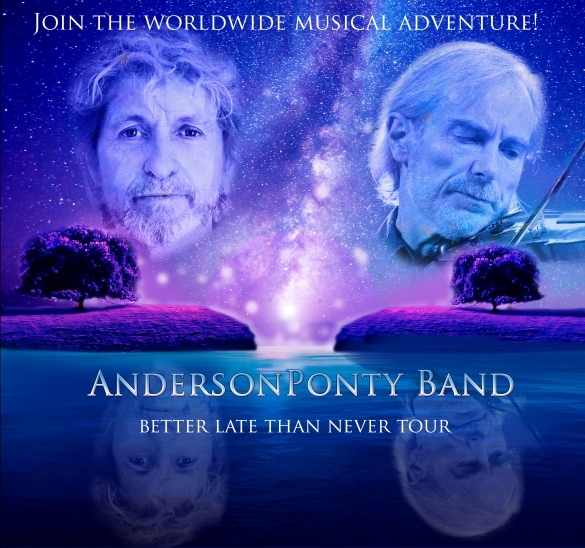 Los Angeles – One of the most eagerly awaited releases of 2015 by the AndersonPonty Band, featuring music icons Jon Anderson and Jean Luc Ponty, is scheduled to hit the streets early Fall 2015! “Better Late Than Never” is the new album taken from a live performance, and enhanced with innovative production. The package includes a bonus DVD featuring outstanding performances by the band captured in September 2014 at the Wheeler Opera House in Aspen, Colorado. The AndersonPonty Band also includes Jamie Glaser on guitars – well known guitarist who has worked with Jean Luc Ponty, Chick Corea, Bryan Adams and Lenny White; Wally Minko on keyboards – virtuoso player and composer who has performed and recorded with many worldwide stars including Pink, Toni Braxton, Jean Luc Ponty, Tom Jones, Gregg Rolie and Barry Manilow; Baron Browne on bass who has played with Steve Smith, Billy Cobham and Jean Luc Ponty; and Rayford Griffin on drums and percussion, who has played with Stanley Clarke Band, George Duke, Jean Luc Ponty and Michael Jackson. The band visit the music created by Jon Anderson and Jean Luc Ponty over the years with new arrangements, virtuosic performances and new energy. Legendary Singer/Songwriter Jon Anderson’s “Mysteries Of Music” Special Now On Soundcloud! 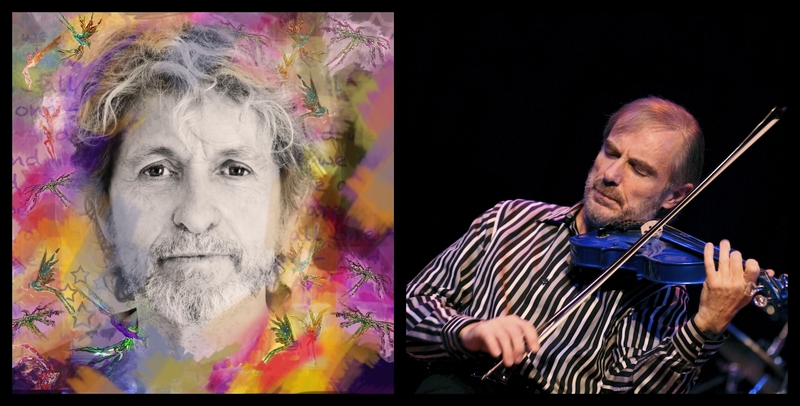 Asheville, NC – Legendary singer/songwriter Jon Anderson’s “Mysteries Of Music” special is now on Soundcloud! In this 40-minute special, Jon talks about his own musical development as well as his appreciation for World Music and the sounds of nature. The soundtrack includes many examples of these topics, as well as the YES masterpiece “Awaken”. 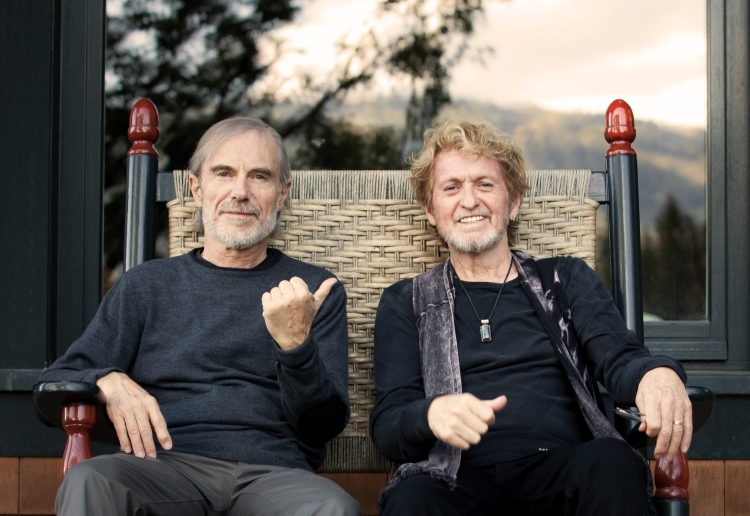 Jon Anderson and Jean-Luc Ponty have announced the formation of a new ensemble – The AndersonPonty Band! YES’s original singer/songwriter for 35 years, Jon Anderson has had a successful solo career, which includes working with such notable music artists as Vangelis, Kitaro, and Milton Nascimento. International jazz superstar Jean-Luc Ponty is a pioneer and undisputed master of violin in the arena of jazz and rock. He is widely regarded as an innovator who has applied his unique visionary spin that has expanded the vocabulary of modern music. Together these two music icons form a musical synergy that is unparalleled! This past September the APB band gave a special live performance at the Wheeler Opera House in Aspen, Colorado. The show was filmed and recorded and is scheduled for release on CD/DVD this coming spring! Tour plans for the AndersonPonty Band are also currently in the works. GONZO Multimedia recently released of a new charity single “The Family Circle” by Jon Anderson and former Counting Crows bassist Matt Malley. The money received from the single will go to the following charities: Flutie Foundation – http://www.flutiefoundation.org (Jon Anderson), Sahaja Yoga Meditation – http://www.sahajayoga.org (Matt Malley) and National Autistic Society (Rob Ayling, GONZO Multimedia president). Music Legends Jon Anderson and Jean-Luc Ponty Announce Formation of New Music Ensemble – The Anderson Ponty Band! 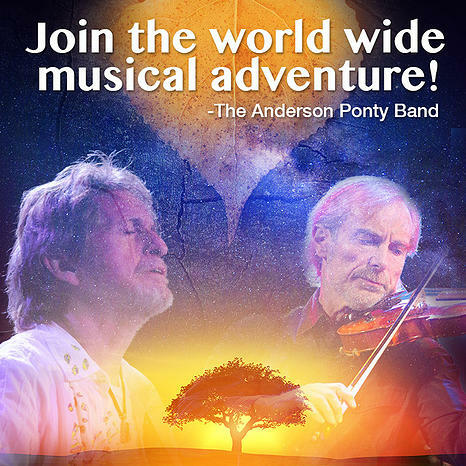 Los Angeles, CA – Music legends Jon Anderson and Jean-Luc Ponty announce the formation of a new ensemble – The Anderson Ponty Band! YES’s original singer/songwriter for 35 years, Jon Anderson has had a successful solo career, which includes working with such notable music artists as Vangelis, Kitaro, and Milton Nascimento. International jazz superstar Jean-Luc Ponty is a pioneer and undisputed master of violin in the arena of jazz and rock. He is widely regarded as an innovator who has applied his unique visionary spin that has expanded the vocabulary of modern music. Together these two music icons form a musical synergy that is unparalleled! The Anderson Ponty Band also includes Jamie Dunlap on guitars – well known as a film and television composer, most notably ‘South Park’; Wally Minko on keyboards – virtuoso player and composer who has performed and recorded with many worldwide stars including Pink, Toni Braxton, Jean-Luc Ponty, Tom Jones and Barry Manilow; Baron Browne on bass who has played with Steve Smith, Billy Cobham and Jean-Luc Ponty; and Rayford Griffin on drums and percussion, who has played with Stanley Clarke Band, George Duke, Jean-Luc Ponty and Michael Jackson. The band will visit the music created by Jon Anderson and Jean-Luc Ponty over the years with new arrangements, virtuosic performances and new energy, while creating new compositions as well.